Relax poolside in supreme style with the Miami Folding Lounge Chair. 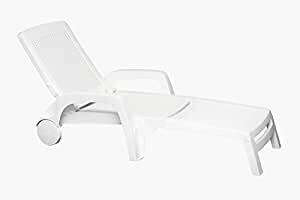 Available in an alluring trio of colors, this reclining chaise folds up to a compact size to simplify storage. Durable polypropylene construction means our chair stays looking new and pristine, even after years of heavy use.